Arlen Ness, the "King of Choppers", knows a thing or two about performance. The Big Sucker is designed to give your engine maximum airflow for maximum performance. Testing shows that by simply installing a Big Sucker kit, horsepower gains of up to 21% are attainable. The air filter elements are made one at a time using the finest materials available. The filters are hand-poured one at a time in a urethane body, unlike many other filters that are spun, which can leave a residue on the filtration media. 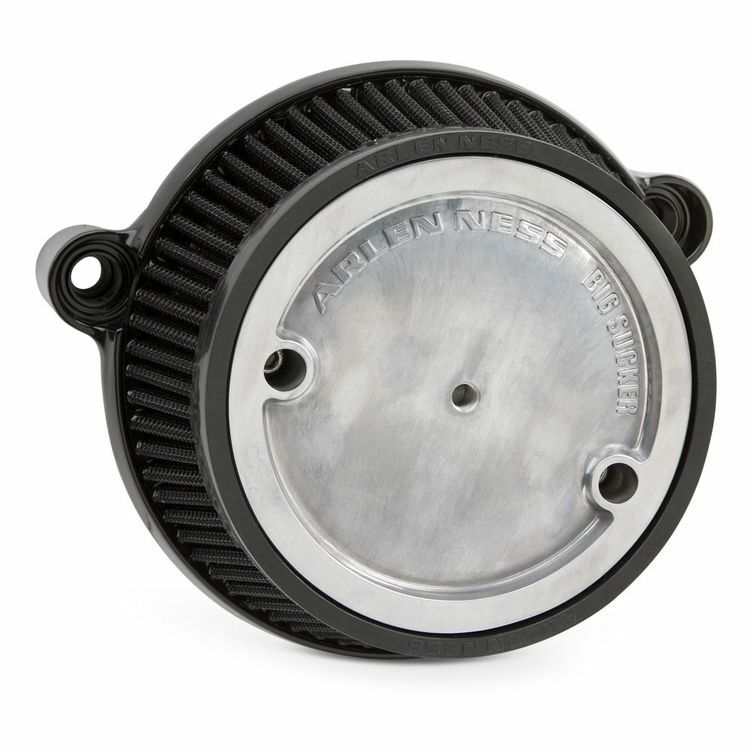 The Big Sucker air filter kit features a one-piece aluminum backing plate and eliminates the need for banjo fittings, hoses and a filter. Note: Kit uses your OEM cover and does not include one.